Not a mere web presence, we’re more like a library, or a museum, or magazine, or grandmother’s dusty old trunk in the attic. It was established in 2002, and over a span of 13 years, by the efforts of society researchers and the contributions of many, we’ve created a valuable repository of Cliffside’s history, including profiles of many of its people and a broad overview of mill town culture. Remember Cliffside is a labor of love, by someone with ties to the town, who were able to devote the time and skills required to craft and maintain a complicated site. Betty and Reno Bailey retired in mid-2001. Wanting a pro bono project to keep them busy, they chose to create a website about Reno’s home town, expecting there to be only a few pages of articles and photos. Immediately a deluge of vintage photos, yellowed clippings, manuscripts and artifacts began arriving from contributors. New material is regularly created and discovered. Betty is co-designer, researcher, archivist, transcriber and scanner-in-chief. Reno is managing editor, head writer, coder and webmaster, using skills he gained in a former career as a creator-producer of TV programs and commercials. As has been the case for over a dozen years, almost every day one or both of them can be found working on some facet of the site. The Baileys are in their eighties. They want to spend their remaining working years putting Remember Cliffside in good shape and good hands. Often called a “model” village, the old Cliffside was a one-industry, cotton mill town. It has a remarkable legacy thanks to the progressive outlook of its founder, who provided for and treated his workers better than most employers of the time. But as the decades passed, it became clear that such towns were at the mercy of the textile industry’s fortunes. Starting in the mid-1960s, the paternalistic model of mill corporations changed, and Cliffside, and many other villages like it, began a slow decline. Workers were forced to move away from town; their substandard housing razed. By the ’80s, without a customer base, the town’s commercial entities had departed, their buildings destroyed. In the early 2000s, the textile industry finally collapsed, and so did Cone, the company that owned Cliffside. 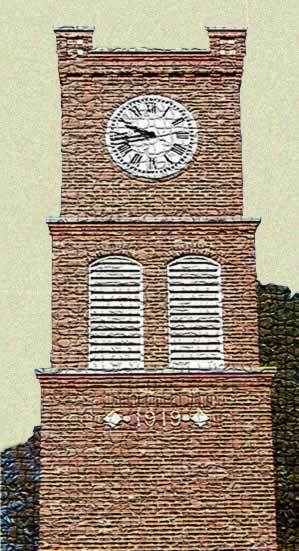 Now the town is a quiet, mostly empty space, and all that remains are a school, two churches, a funeral home, a clock tower, a few residents—and memories. 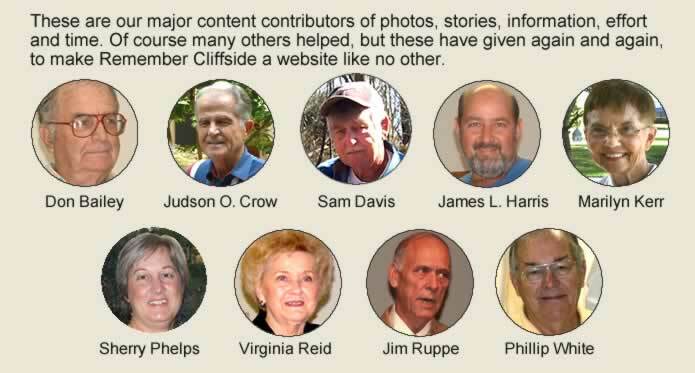 “I just wanted to say how interesting your site is, and how much I enjoyed looking at all the pictures and reading about the history of Cliffside! My company is currently doing an upgrade to the Cliffside Steam Station. I am not on that project, but after visiting your site, I want to be! !